The Married Ladies’ Charity Club, Lucius Harper, Photographer. Cook Dallas/Texas Image Collection, DeGolyer Library, SMU. A high-quality version of this file may be obtained for a fee by contacting degolyer@smu.edu. 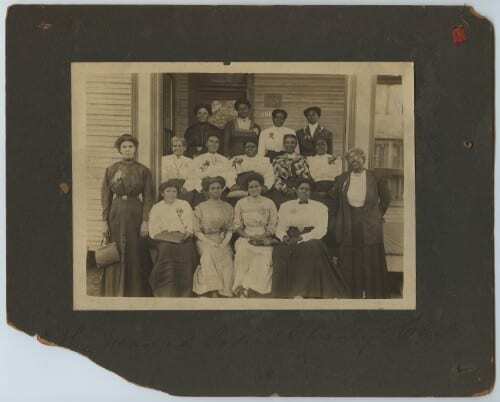 “The Married Ladies’ Charity Club, Lucius Harper, Photographer.” Accession number A2014.0020. Cook Col., “African American” Fd, “State Thomas” . Courtesy of Southern Methodist University, Central University Libraries, DeGolyer Library. A high-quality version of this file may be obtained for a fee by contacting degolyer@smu.edu.